The volunteer of the year of award is the highest honor that we present each year. The volunteer chosen for this award is someone who stands out among the entire staff as a leader in their role and goes above and beyond their normal expectations. This year, there is a twist on this award because we are awarding it to two people – our dynamic duo – because you will never see one without the other! Andy and Ruth Ann Peters have collectively volunteered more than 450 hours since April 2016. Throughout that year, they have committed their time to our Happy Wheels Cart, Meals Program, all of our signature events and cook a fabulous, from-scratch meal once a month for our families. 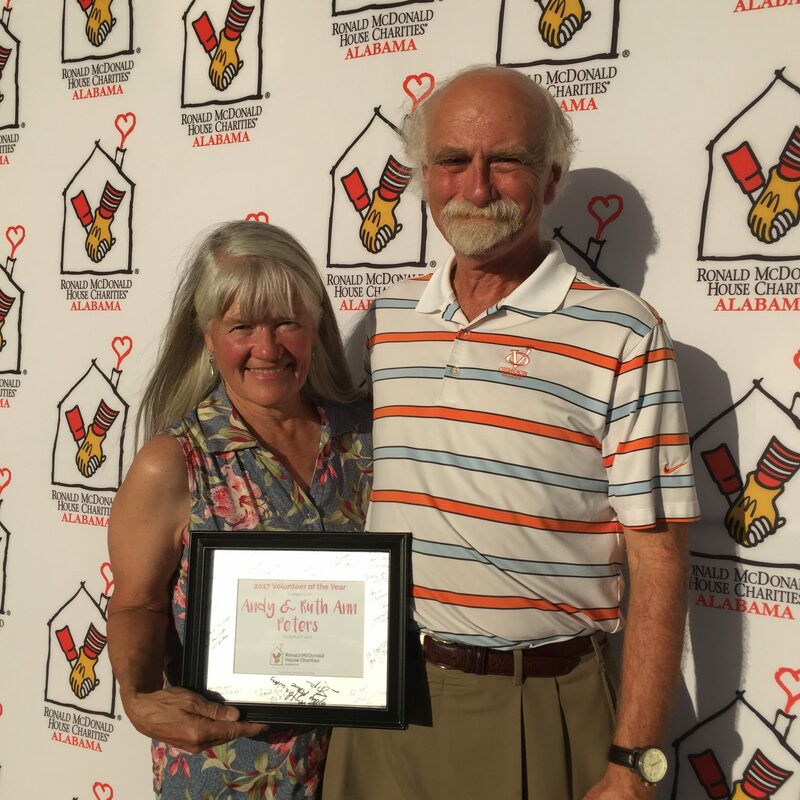 Thank you, Andy and Ruth Ann, for everything you do to make RMHCA a great place for our families!